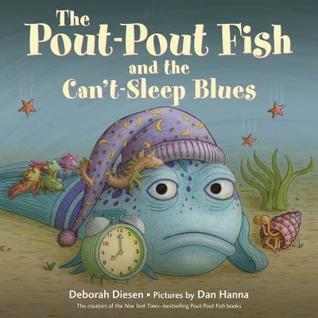 Pout-Pout Fish isn't sleepy, and no matter who he talks to, he just can't seem to catch a snooze! He gets great advice from friends which includes counting sheep, wearing purple pajamas and orange socks, blinking, and swimming. But no matter what he tries, nothing seems to do the trick! Finally, he gets some advice from Miss Shimmer, who suggests he learn from the advice he's been given and decide what combination will work best for him. So Pout-Pout comes up with his own special bedtime routine and finally falls fast asleep. Singsong, rhyming lyrics and captivating, hand-drawn illustrations are what Pout-Pout Fish fans are used to, and this book certainly does not disappoint! Readers will enjoy meeting each of Pout-Pout's friends, and children will quickly recognize the pattern. This book would make a great introduction to discussing a new bedtime routine with toddlers. For older children, it could spark a discussion on being wise with the information we receive. We will be given helpful advice and less helpful advice and must learn to discern between it. This is a great read with a great lesson!